My beautiful and talented spouse writes a blog called "Tachlis". Tachlis is a Yiddish word meaning "reality", often in the sense of "the harsh reality". There is today no harsher reality than the Iran accords. Let's ease into this subject by starting with something most American and Israeli Jews can agree on: the deal on the table isn't the deal we wanted. 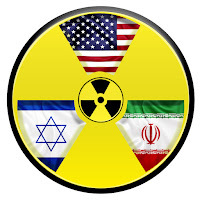 It does not strip anti-Semitic, anti-American, terror-sponsoring Iran of all of its nuclear capabilities. It does not stop them from exporting terror, nor force them to accept the reality of Israel. Indeed, the threatening rhetoric continues to stream out of Tehran. And, even to the extent that the deal does manage to put the brakes on Iranian nuclear momentum, the agreement starts to phase out after only eight years—a relatively short interval, historically speaking. We knew it was coming. For some time, it's been apparent that the tense negotiations were not going to result in a nuke-free Iran. And so we lobbied, we argued, and we protested—anything to leverage the Obama administration to push harder for a better deal, or to walk away in favor of imposing ever harsher sanctions. And perhaps we were successful. It's difficult to say to what extent pressure from the American Jewish community and other opponents of Iran stiffened the resolve of the US negotiators. It's easy to imagine that the deal could have been much worse. Indeed, the US might well have conceded the inevitability of an Iranian bomb, pursuing a strategy of containment rather than prevention. With most parties now acknowledging that Iran is only several weeks from having enough raw material for a weapon, containment could well have been seen as the best of a set of bad options. Fortunately, the administration did not abandon its long-stated principle of denying Iran a nuclear bomb. But while most experts agree that the deal does just that, it is more than reasonable to ask how long such an arrangement will actually last. Yes, sanctions will, in theory, "snap back" if Iran is found to be violating the agreement. But in such a circumstance, the reinstatement of sanctions also terminates Iran's obligations: the deal becomes moot, a dead letter. In that event, the world would find itself more or less where it is right now, but facing a far wealthier Iran, and without the momentum and collaboration amongst the P5+1 nations that characterized the recent negotiations. In short, while there is some consensus that the deal will delay Iran's production of nuclear weaponry, it will not in and of itself prevent that unthinkable development in the long run. In the interim, Iran will be greatly enriched by the lifting of sanctions, and it's fair to assume that it will use some of that windfall to intensify its proxy wars with Israel and the West. In the past week we've been favored with direct appeals from two heads of state: Israeli Prime Minister Binyamin "Bibi" Netanyahu, and American President Barak Obama. Bibi pointed out the many flaws in the current deal, while President Obama underscored the enormous achievement represented by a coalition formed under American leadership forcing Iran to the table and ultimately producing an agreement supported by nearly every country on Earth. And so the battle lines have been drawn. Numerous Jewish organizations have publicly announced their opposition to the deal (though not without controversy). AIPAC, the premiere pro-Israel lobbying organization, has even formed a separate venture—kind of like a subsidiary—to push for the deal's defeat in Congress. The decision by AIPAC to take on a sitting President on an issue of this magnitude is unprecedented. But is it a good one? Are AIPAC, various local Federations, and other Jewish organizations making the right choice in publicly lobbying against the Iran agreement? Friends, the tachlis is that putting the defeat of the Iran accord at the top of our agenda is a huge mistake, one whose consequences we might still be feeling years into the future. Given the path we appear to have chosen, there really are only two possible outcomes. Both are awful. Outcome 1: The agreement is defeated. Well, congratulations to us: our famed influence and activism have once again helped us to reach our goals. But, um... now what? Tachlis: There is no other agreement, no continuation of sanctions, no way to improve on what was already agreed. It was fine for us all to talk about the deal's shortcomings, and how they should be addressed, when it was being negotiated. As I observed earlier, it's entirely possible that the influence of Israeli diplomacy (such as it is) and American Jewish activism helped the final agreement be stronger than it might otherwise have been. But now an accord has been reached. If we fail to ratify it, do you expect that the coalition that came together to produce it will simply shrug, and with a wry "oh, those crazy American Jews!" will sit down and start again? Not a chance. As the President pointed out: we have a deal that each of those partners, and indeed, most every other country, have accepted. Even the Gulf nations, who live in fear of a nuclear Iran in much the same way as the Israelis, are quiet. Voiding the agreement will simply strip America of our leadership. It will leave us without a deal and without the leverage to produce a better one. The other countries of the world, having been left at the altar, will no longer be willing to sacrifice their financial interests to reinstate a sanctions regime that, in their view, had already met its goal. Now unfettered, Iran will simply continue building both nuclear devices and the missiles that can deliver them anywhere in the world. The Gulf nations, enemies of our enemies but not remotely our friends, will surely follow suit. So you want to kill the deal? Great. Tell me your plan. But if it's, "we pick up where we left off and continue pressuring Iran until we get a better deal", then save it. You're simply dreaming. Outcome 2: The agreement is not defeated. Oh dear, we seem to have come out on the losing side. Oh well: at least we tried. Tachlis: There is a cost to fighting a losing battle, especially one to which we have committed such an enormous amount of political capital. If we declare the Iran deal as the hill we're willing to die on, we need to keep in mind that dying on it is indeed a possibility. By failing, in a huge and public way, on an issue we've declared to be of the utmost importance to us, we will be exposing ourselves as weak. Ineffective. The worst part is, we will have chosen as a moment to neuter ourselves that very instant in history that Israel most needs us. For the duration of the accord, Iran will be on the brink—perhaps a year away, perhaps less—of a nuclear weapon. The US, aware of Israel's situation and of America's complicity in creating it, will be somewhat inclined to make it up to the Jewish state. But how? That is when we must step up. Sure, the US is probably game for more joint R&D projects, like the one that produced the Iron Dome and Arrow anti-missile systems. And we'll surely share intelligence, combining US signal and satellite information with Israeli human intelligence to gain a complete and ongoing picture of what's happening within Iran. Similarly, joint air and naval exercises, increased US military aid, and so forth, are likely there for the asking. But an intact American Jewish community can push for so much more. We can point out that Israel has taken an enormous, even unprecedented risk for peace by accepting the deal. In return, it is fair to ask our leaders to press the Palestinians to take a few risks of their own—to stop whining about Ariel and E1, to dismantle their terror infrastructure, neutralize Hamas, and finally accept the state Israel has been trying to give them for decades. We should insist that the US push the Gulf states (independently of the Palestinian track) to reach an accommodation with Israel, including recognition and ambassadorial exchanges, in order to formalize an Iranian counterweight in the Middle East. And we should demand, and demand, and demand, that the US commit substantial resources to forcing Iran, through any means necessary, to disarm Hezbollah and its other terrorist clients. Of course, we'll be lobbying for all of these concessions and more no matter what Congress ends up doing about the Iran accord. The question is: will anybody be listening? Congressfolk are notoriously uninterested in the concerns of toothless interest groups. In any event, foreign policy is largely the domain of the executive branch. If we alienate the executive, and worse, if we are publicly disempowered, having failed to gain traction on the single biggest issue for American Jews since the days of Soviet refuseniks, what leverage do we have? The only thing worse for Israel than a nuclear Iran is an indifferent America. Such a scenario could surely never come to pass; never, that is, unless Israel's most passionate defenders have lost their way, and in doing so, lost their voice as well.